The "foiled" from my title ended up being a little too literal. 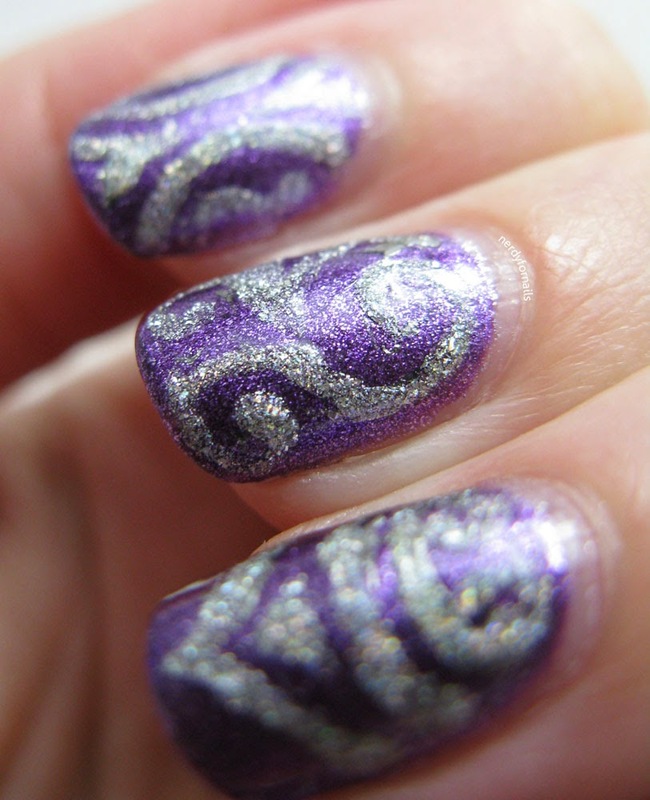 Even after top coat a lot of the foil ended up rubbing off after a couple days. 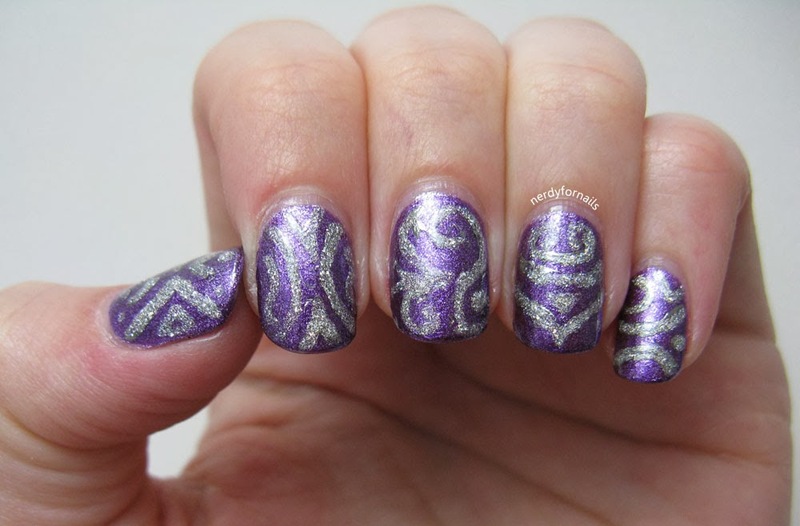 Lesson learned- use more top coat if you want to try a design like this. I didn't have time to completely re-do my nails so I freshened the old look up a bit instead. I actually like the way this looks more than the original foil. This is the original two coats of Kelly (Thai polish) which held up really well for this being 3 days old. 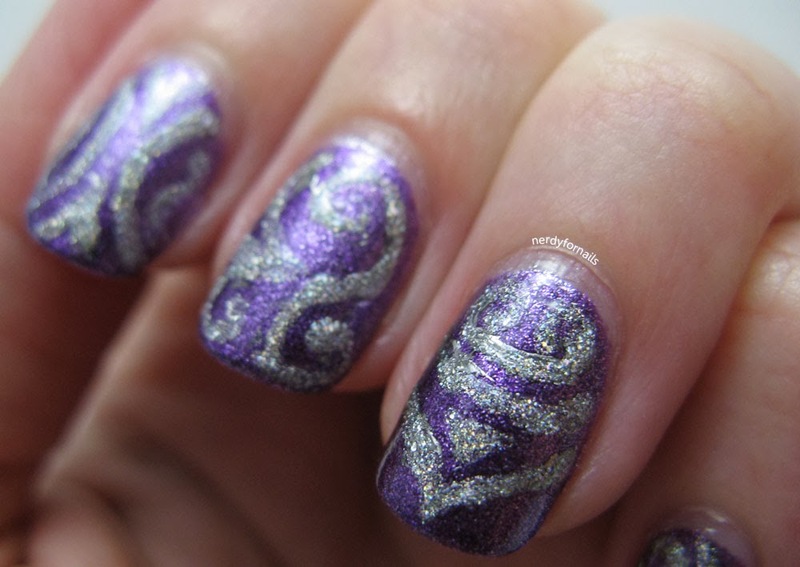 I went back over the parts where the foiled rubbed off with Milani 3D Holographic polish in HD. 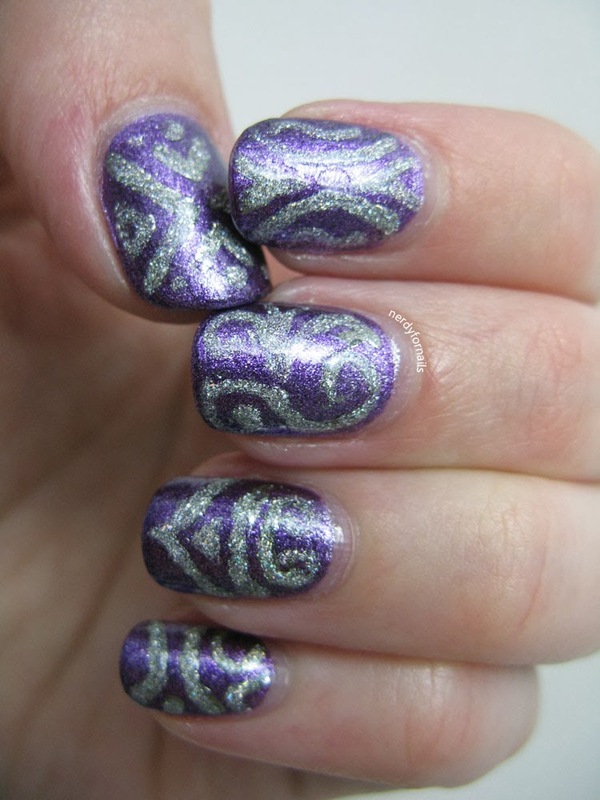 The holographic polish stands out much more than the foil did against the sparkly purple background.